This timely workshop is designed to equip MS & HS content-area teachers with classroom-tested strategies to move students beyond a set of generalized comprehension strategies to specialized strategies required for tackling reading in different subject areas. Anchored in the Indiana Content Literacy Standards, this one-day workshop provides math, science, social studies, and elective-area teachers the tools they need to help students achieve disciplinary literacy. Presented by Kristina Smekens. 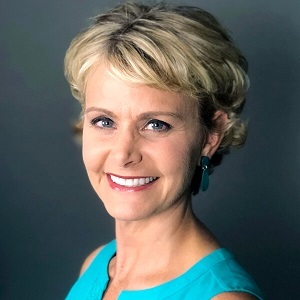 President and lead consultant for Smekens Education, Kristina Smekens is a highly sought after speaker and author who has spent more than a dozen years supporting K-12 educators with on-site school trainings, regional seminars, and an always-growing pool of print, digital, and video resources. Kristina is well known for offering innovative ideas, but also for the energetic and enthusiastic way in which she delivers every professional development session. A certified 6-Traits trainer, Kristina is the author of several books and resources including Launching the Writer’s Workshop: Grades K-2, Launching the Writer’s Workshop: Grades 3-12, Trait-Based Writing: Lessons and Activities, The Writing Parent Pack, and more.